Cilantro is one of those herbs that people either love or hate. There’s something very particular about its flavor that is either very attractive or completely repulsive to people. After catering for many events and hosting raw food retreats, I’ve learned to limit my cilantro use on the main raw food dishes and keep it as an optional topping. Lucky for me, I happen to love the flavor of cilantro. Why lucky? Because it loves me right back! Cilantro is a potent medicinal herb with a long list of health benefits. Besides being extremely high in anti-oxidants, very high in minerals like calcium, potassium, manganese, iron and magnesium; very high in vitamins including folic acid, vitamin A, beta carotene, vitamin C, and that all-too-often forgotten vitamin K (which regulates blood clotting and may also be helpful for bone health). Cilantro has also been found to chelate (remove) heavy metals like mercury, aluminum, and lead from the body. There’s much research being done on the health benefits of cilantro and considering that my body screams YES! every time I eat it, I make it a point to include it into my diverse and varied plant-based diet. One way I like to eat cilantro is by including it into my smoothies, particularly this Pear Cilantro Smoothie. I know what you might be thinking – even for you cilantro lovers out there – um, gross… but you’ve got to try this smoothie, it’s amazingly delicious! A perfect blend of flavors that you’ll surely be surprised by. I completely credit this smoothie to a friend Alexia, whom I used to work with at a raw food restaurant in Vancouver. I would have never thought to combine pear and cilantro. When she first described it, I thought, really that’s a weird combo? But she was so infused with love for this smoothie, that I had to try it. Needless to say, it’s a dynamic duo, and it went on to be a very successful seller at the restaurant and still is one of my favorite smoothies. Thanks Lexi! All you need is a high powered blender for this smoothie recipe. Wash all ingredients. 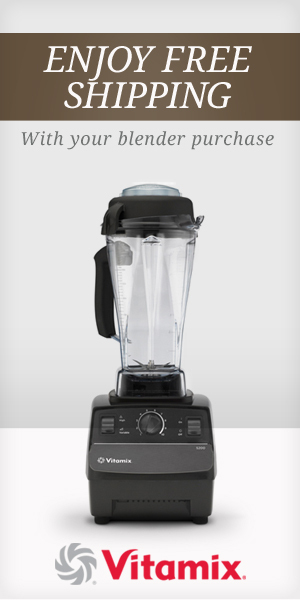 Place in your Vitamix or blender and blend at high speed until smooth and creamy. Serve and enjoy. This recipe serves 2 people, or one very hungry person. You can also use frozen bananas to give this smoothie a nice frosty texture. For added nutritional chelation therapy add a teaspoon of chlorella also known to help remove heavy metals from the body. Raw food smoothies make for delicious and nutritious meals. There are countless variations on smoothies to make. Changing it up makes it fun and interesting and also provides you with a range of vitamins, minerals, phytonutrients, enzymes, co-enzymes…everything you need to be optimally healthy. Let me know what you think of this cilantro pear smoothie…first impressions? Better than you thought? What pear cilantro variations have you tried?